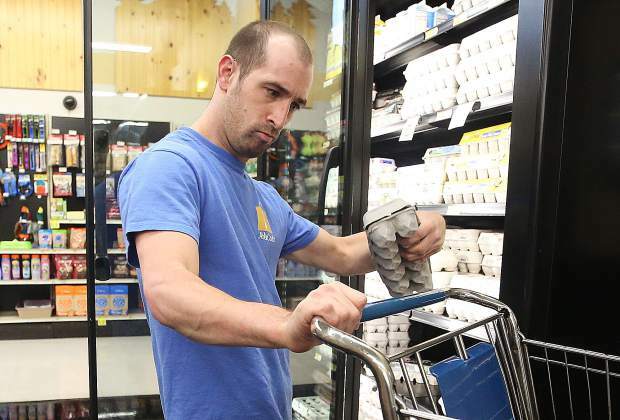 Kevin Szura carefully places a carton of eggs into a shopping cart at SPD Market, while younger brother Tyler observes from behind. The two brothers designed grocery delivery service AbleCart, to be led by people with disabilities like Kevin, who has cerebral palsy. 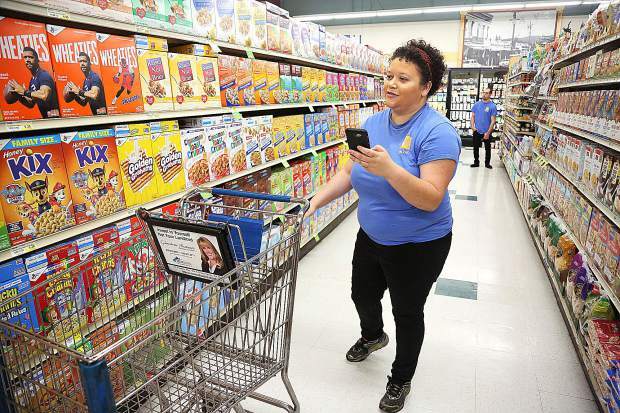 AbleCarts worker Cassandra James checks on a mock order sent to her phone while training in the cereal aisle Tuesday at SPD Market in Nevada City. 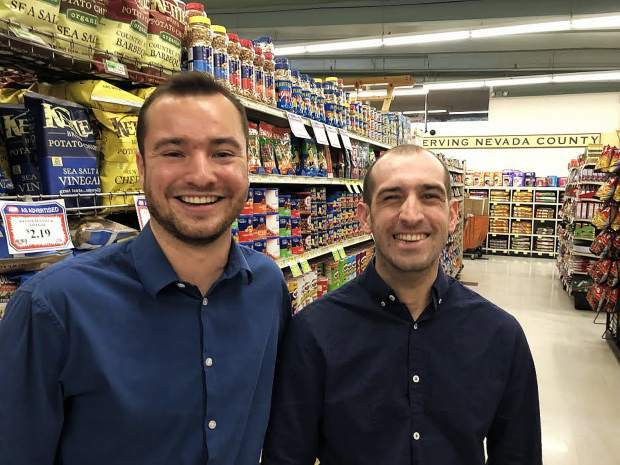 Brothers Tyler and Kevin Szura share a smile and a conversation with an SPD Market checker as the two pay for items placed on an AbleCarts shopping list Tuesday in Nevada City. Kevin Szura (director of community and employee outreach), left, poses with AbleCart crew members. AbleCarts shopping lists are sent directly to employees phones, as Cassandra James demonstrates at SPD's meat department. 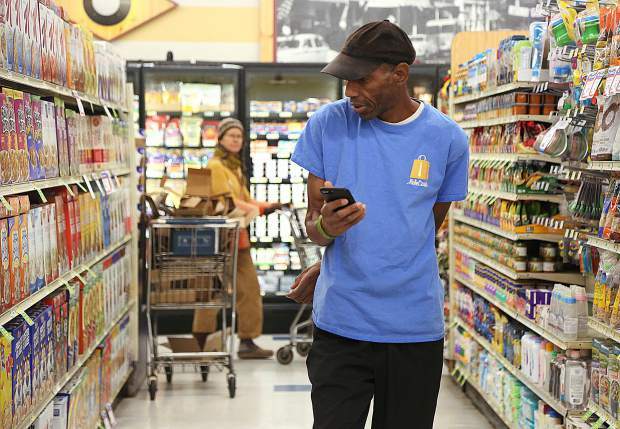 AbleCarts trainee Robert Lee searches for grocery items sent to his phone. Lee is an artist and operates better when he has pictures of items. If an AbleCarts employee has any issues finding an item, they can text fellow co-workers for help. 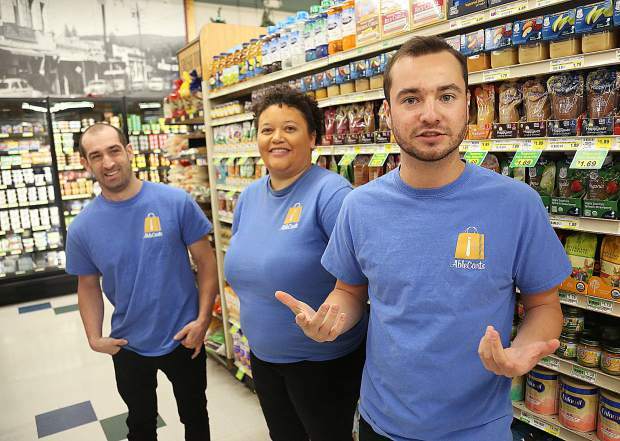 AbleCarts' Tyler Szura (from right), Cassandra James and Kevin Szura, explain the impetus behind their grocery delivery service designed to be inclusive and provide upward mobility. Kevin Szura gathers bags of tortillas from the rack while collecting the items on an AbleCarts shopping list emailed directly to his phone. 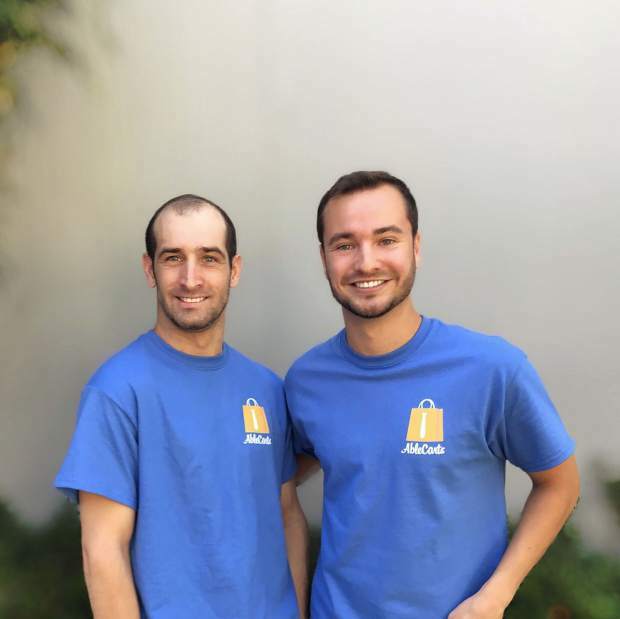 Founders of AbleCart, from left, are brothers Kevin Szura and Tyler Szura. Kevin Szura selects a carton of oatmeal and readies to place it into the cart Tuesday at SPD Market in Nevada City. AbleCarts' Tyler Szura (from right), Cassandra James, and Kevin Szura, explain the impetus behind their grocery delivery service designed to be inclusive and provide upward mobility. 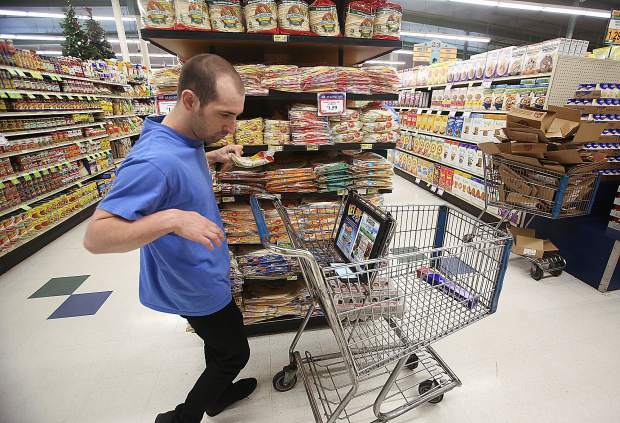 Kevin Szura pushes a cart around SPD Market in Nevada City Tuesday, looking for grocery items ordered through AbleCarts, a new grocery delivery service operated by people with disabilities with a strong focus on inclusivity, upward mobility, professional growth and opportunity. The service was brought about by Szura, who was diagnosed with cerebral palsy at 3 months, and younger brother Tyler Szura. AbleCarts trainee Robert Lee searches for grocery items sent to his phone. Lee is an artist and operates can find items easier when he has pictures of them. If an AbleCarts employee has any issues finding an item, they can text fellow co-workers for help. As a kid growing up in Nevada County, Tyler Szura looked up to his big brother, Kevin, who was eight years his senior. While Kevin was clearly the older and more mature one, their relationship had an atypical twist. Diagnosed with cerebral palsy at three months old, Kevin had certain physical limitations, and that’s where his kid brother could help. When Kevin moved into an apartment of his own at age 23, Tyler was concerned. As it turned out, Kevin adapted well to his independence. But as the years passed, life outside his daily household chores presented a different kind of challenge. 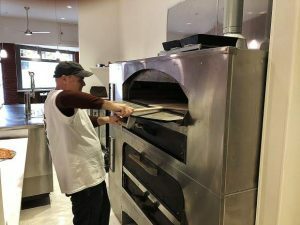 After nearly a decade of working in a “prevocational facility,” which provides employment for people living with disabilities, he was yearning for more meaningful work. Prevocational facilities offer a valuable service — they provide people living with disabilities a place to work, which is often their only option, said Tyler. However, while these facilities can provide necessary job skills training, they are legally allowed to pay substantially less than federal minimum wage. Additionally, only an estimated 5 percent of individuals with disabilities in these work environments ever transition into fair paying jobs within the community, he added. 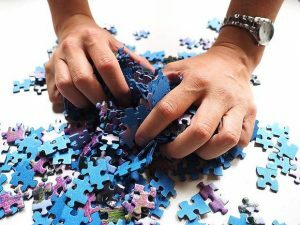 Ultimately, the majority find themselves with no upward mobility when it comes to applying the work skills they’ve acquired at a prevocational facility. Seeing that his brother’s opportunities were limited, Tyler began to brainstorm, hoping to come up with ideas that would give Kevin and his peers the next step up — an inclusive environment and a fair wage. As a result, Tyler and Kevin joined forces to develop the nonprofit organization “tkMomentum,” with the two lower case letters representing their first names. The primary mission of tkMomentum, launched in November of 2017, is to create employment and social opportunities for people with disabilities. 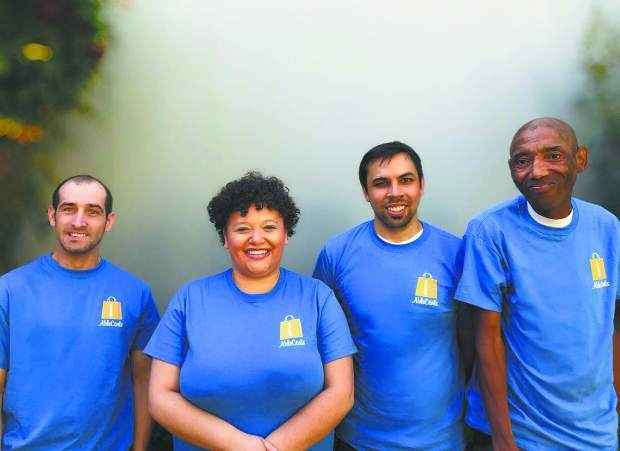 Since then, the organization has launched an employment program, AbleCarts, a grocery delivery service operated by people with disabilities with a strong focus on inclusivity, upward mobility, professional growth and opportunity. 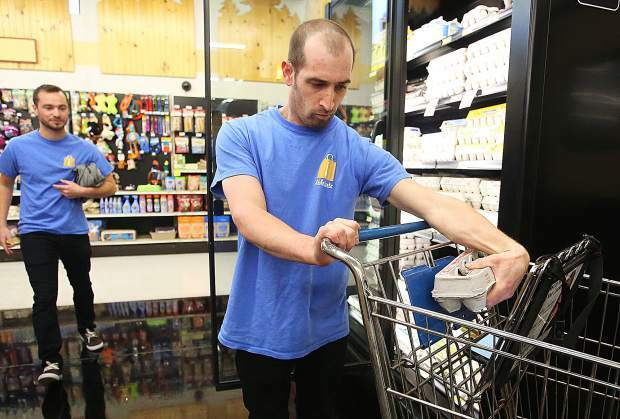 Two Nevada County grocery stores have since agreed to partner with AbleCarts. 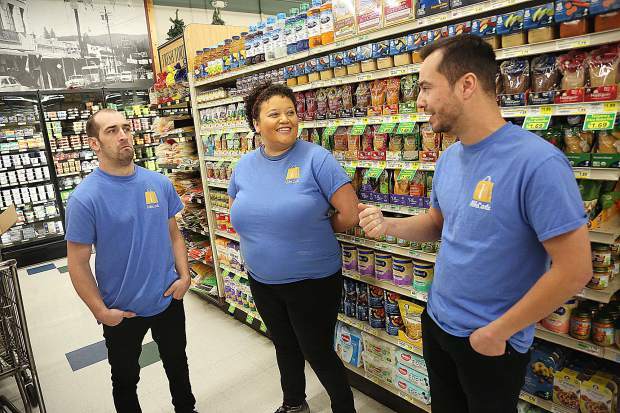 While the new nonprofit business is currently close to completing an online grocery store where customers can select and buy groceries, employees are currently taking phone orders at SPD Market in Nevada City. 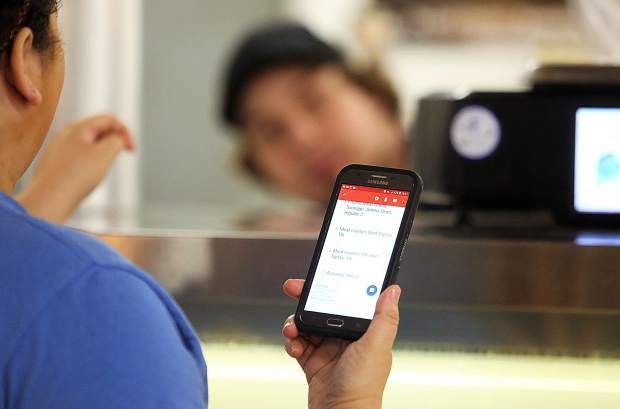 The cost of service is $8.99 for one hour delivery, and additional $5.99 for a two hour delivery and $3.99 for three hours and every hour thereafter, plus 10 percent of the total cost of groceries. All proceeds go directly toward furthering tkMomentum’s mission to create more employment opportunities for people with disabilities. 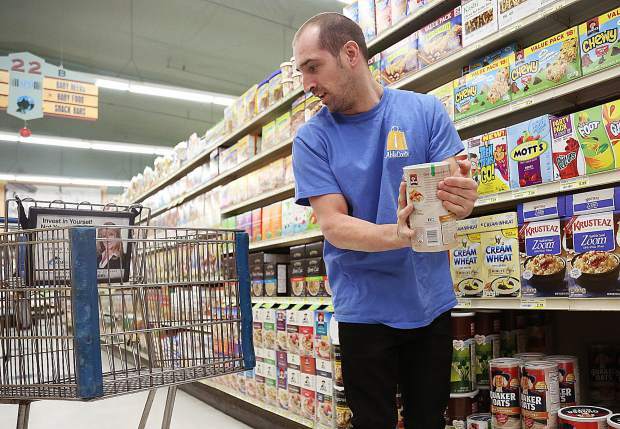 While AbleCarts is currently seeking donations to help expand and launch their program in other stores, the measure of the company’s success is not just a financial one, said Tyler. 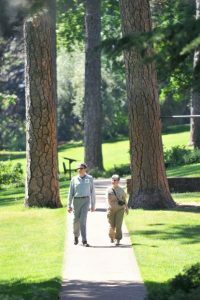 Tyler, who is executive director of tkMomentum, and Kevin, who is in charge of community and employee outreach, are currently in the process of speaking to various Nevada County community service groups in the hopes of garnering more financial support, raising awareness and educating the community about the program. Not only does tkMomentum advocate for long-term meaningful employment, they also want to be an ongoing advocate on behalf of their own employees. In the future, they hope to branch out to offer a variety of job opportunities. To contact Staff Writer, email Cory Fisher at Cory@theunion.com.